Edirne is a city in Eastern Thrace, the northwestern part of Turkey, close to the borders with Greece and Bulgaria.Most tourists would be hell bent on hot footing to the Turkish metropolis to shop in the bazaars and gaze at the Bosporus, but a stopover in Edirne reaps dividends. Edirneis full of historic mosques, ancient bridges and the former palaces of the Sultans. The most easiest way to visit Edirne is by car crossing the border at Kapikule, south east of Slivengrad. There are no bus services between Edirne and Bulgaria although some tourists have been known to wave over one of the tourist buses travelling directly to Istanbul. There is however a train service from Kapitan Andreevo just over the Bulgarian border. Edirne is only 15-20 km away from here. Once you are in Edirne, you can explore on foot. Edirne used to be known as Adrianople,meant the “City of Hadrianus”, after the Roman emperor who founded it. It was once the fourth largest city in Europe, with a population of around 350,000 people and prior to the capture of Constantinople, it was the capital of the Ottoman Empire. This rich and wonderful legacy has left its mark on the city with magnificent Ottoman palaces and mosques to the modern day neo-classical architecture of the downtown shopping area. It is a showcase to some of the Ottoman Turks finest structural work in the form of its several bridges,those cross the Maritsa and Tundzha rivers. Many of these bridges are extremely narrow with majestic stone arches. Central Bridge known locally as Meriç over the Maritsa River was once the place the Sultans watched parades of the Empire’s military might from the stone alcove located in the centre of the bridge. Another olace to see is the magnificent Edirne Palace, that was built during the reign of Sultan Murat II and was known then as the "Palace of the Empire." This palace has some spectacular caravansaries,played host to travelers during the 16th century. It’s not often that a railway station makes it onto a list of “must sees”.The Edirne’s old train station, built in 1890, displays some wonderful examples of European and Ottoman architecture.Now it is the Trakya University Chancellor's office. Shopaholics will love the Saraçlar Caddesi in the city. This pedestrianised shopping centre is lined with lots of good cafés and shops along with some fantastic neo classical architectural. Leading off from this retail heaven is the Maarif Caddesi, an architecturally significant residential area with many well preserved and ornately decorated 19th century wooden houses. The disused Jewish Synagogue lies at the top end of this street;this was built in 1906 and was the largest synagogue in the Balkans. Jews were part of the Ottoman Empire for centuries and Turkey's neutrality during world war II spared them from the horrors of the Holocaust. The first thing you will see in the time of entering city is the imposing face of the 16th century Selimiye Mosque.This dominates the city’s skyline with its grandiose dome and tall minarets. 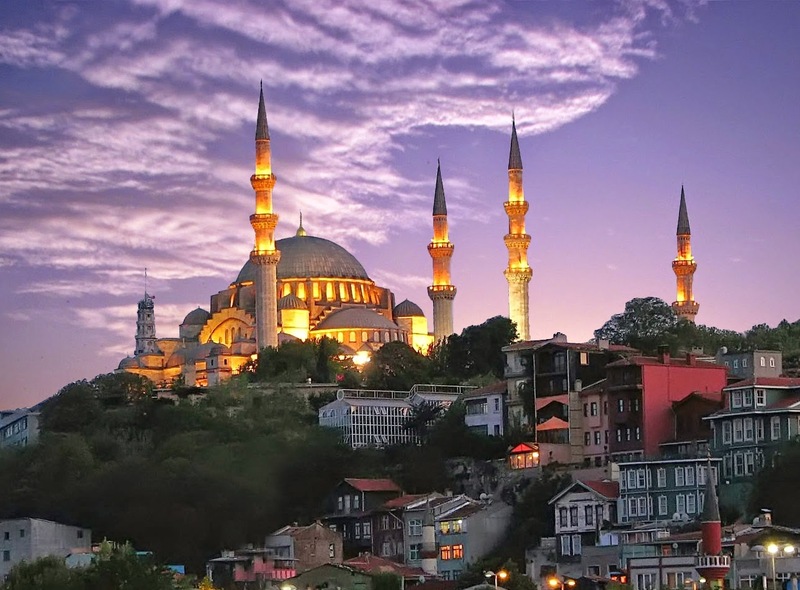 The mosque was designed by the Ottoman architect Sinan,often refered to the Selimiye Mosque as his best work. The mosque is one of the largest in the world; it has a total of 999 windows, that were said to symbolise Allah’s goodness. The Eski Cami or Old Mosque is the smallest and oldest of the three mosques in the city.This is decorated with some beautiful ancient calligraphy on its interior walls. The Üç Şerefeli or Three Minaret Mosque takes its name from its three distinctly decorated towers, that is quite unique as far as mosques go.Behind the mosque you can be able to see the rotund Makedonya Kulesi or Macedonian Tower, that marks the old city limits. It is impossible to climb but you can stand in the stairwell. Museum buffs may like to visit the Medical Museum, that was awarded the “European Museum of the Year” a few years ago. It used to be an Ottoman mental institution noted for its “alternative” approach; instead of chaining them into their cell-like rooms, they were treated with soothing music and flower gardens amongst other things. Other museums include the Archaeology Museum and the Museum of Islamic Arts both have some wonderful exhibits and are worth seeing. Liver or ciğer is the local dish served here and whilst it not be everyone’s first choice of meat, it is worth trying simply as it is prepared in a way that is unique in this area. Chunks of liver are fried inside a pot of boiling vegetable oil after that served with extremely hot pepper. Grab a glass of the Bulgarian yoghurt drink Ayran and a hunk of bread as an accompaniment. Edirne has many liver restaurants known as Ciğerci. The best are behind the Old Mosque and if you really can not stomach the local liver, these restaurants will get you an alternative from a nearby restaurant. A great Turkish dessert for this region is a type of almond paste known as badem ezmesi.This is shaped like a biscuit and tastes of bitter almonds. Edirne is a haven for entertainment with more pubs and restaurants than most cities of this size. The best area to sample the nightlife is down by the river on the road to Karaagac or at the open-air Sera Café, in front of the Selimiye Mosque. It offers real Turkish coffee and lies amidst a beautifully landscaped garden. There are many hotels and private quarters where you can stay during your trip. Many locals will tout their accommodation and some of it is extremely comfortable. Edime is a beautiful city of Turkey.Have you ever went to turkey or Edime?If no they do you wish to go there?Share with us. I'd be happy to visit that side of the world sometime in my life and taste the Bulgarian yoghurt drink Ayran. Wow. The place is so beautiful! I'd definitely add this to my bucket list! Great post! This part of Turkey looks majestic. Turkey does have a rich heritage that shows in their structures. Wow, what a beautiful city. I haven't been there yet though but yes, I will definitely add this on my "travel-list"